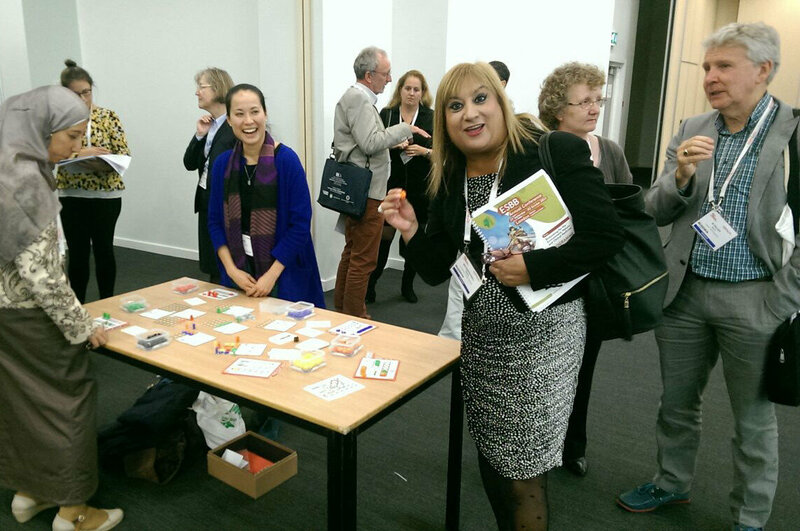 The Centre recently presented a poster at the ESBB 2015 Annual Conference on our latest public engagement activity and were awarded the poster prize for the Education & Standards category. 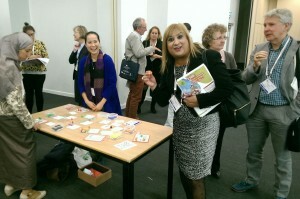 Our ‘Biobanking: the board game: Public engagement through table top game development’ outlined our UCL Beacon Bursary funded project that engaged people, who enjoy playing games, with the key messages of biobanking to create a prototype game. In a series of workshops in East London, we played different games to reflect on what aspects made them fun, interesting and representative of the topic they were about. 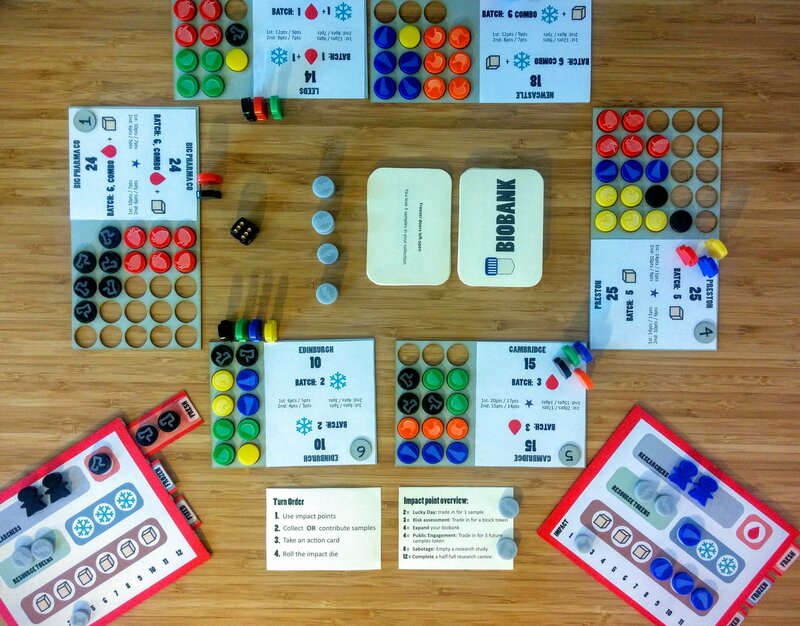 In the workshops we also asked that players reflect on different elements of biobanking (such as, their purpose, location, key players, main activities), in light of games they have played, to develop and adapt a prototype game. Between each workshop Jessica would work with Kaveh Rahnama, the Games Facilitator, on incorporating the participants’ feedback into the next game iteration for play and comment at the next workshop. The development was fairly rapid, adding new changes immediately to test whether they would work. We involved biobanking professionals working with the Centre and the Farr Institute to test out various iterations and refine the scientific and biobanking content. Halfway through the project, Jessica and Kaveh took an iteration of the prototype to Wilderness Festival to playtest the game with people (who had no prior experience with the development process) to see what they thought of the game and their impression of biobanking. At the end of the project we had involved 20 people between the ages of 18 and 35 in either the workshops or the playtests. We asked the workshop participants to self-rate their knowledge of biobanking at the start and the end of the project and found that there was a shift in knowledge to not hearing of biobanks before or only knowing that they exist, to being able to explain either the basics or more detailed explanation to someone else. In fact for most of the participants, the first they had ever heard of biobanking was by way of hearing about this project. Over the next months we will be looking into producing the game for distribution. Get in touch if you would like to hear about any developments.